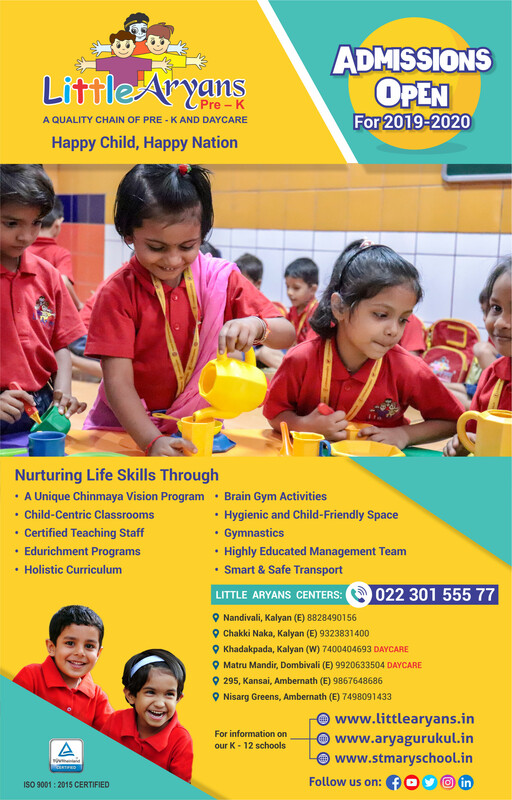 If you wish to proceed with the admission procedure, fill the Application for Admission Form and submit it along with the following documents to our Admission Officer at Little Aryans Pre-K Office. 4 photographs of the child and 2 photographs of father and mother each with the name of the child and Application Form No. written behind the photograph. Office Timings: 9.00 a.m. to 4.00 m.
Kindly ensure that the Application for Admission Form is complete in all respect so as to facilitate the admission process. Admission stands provisional until the submission of all necessary documents within 15 days. Admission will be confirmed only on receipt of required documents and payment of fees. NB: 1. Only those students who have attended Jr. Kg. will be considered for direct admission to Sr. Kg. Admission will be open to all strictly on first come first served basis. If seats are not available, the application will be placed on a WAIT LIST on first come first served basis and you will be notified as soon as a seat is available. Nursery 9.00 a.m. to 12.00 noon / 1.00 p.m. to 4.00 p.m. Junior Kindergarten 1.00 p.m. to 4.15 p.m.
Senior Kindergarten 9.00 a.m. to 12.45 p.m. The 1st quarter, payable at the time of admission, to be paid by NEFT/ Debit Card / Credit Card / Demand Draft drawn in favour of “Little Aryans Pre – K”. Fees can be paid once or in four instalments, payable on or before 15th of every quarter by post dated cheques. Under no circumstances will the fees paid to the school be refunded. NB: Confirmation of admission is subject to realization of cheque. (₹ 500/- will be charged separately for every dishonored cheque). Transportation facility will be provided by “Nitika Travels”. Students will be picked up from Personalised points along the main road. A female attendant will accompany children on all routes. Parents may contact “Nitika Travels” for further details.